Saudi Aramco "on way to becoming gas powerhouse"
One of our senior analysts, Geraldine Duffour, leveraged Enerdata’s Global Energy & CO2 Database to produce an insightful analysis about Saudi Arabia’s ongoing natural gas expansion for this article in Arab News. As Duffour explains in the article, Saudi Arabia’s power demand has doubled since 2000. The portion of natural gas used in the power sector has also been on the rise for numerous reasons, spurring the country’s increasing domestic and international production efforts. Tolling Deals in Indonesia: A New Downstream Trend? In a recent interview with Downstream Today, Enerdata Managing Director - Antonio Della Pelle, gives his thoughts on the downstream refining deal involving Indonesian and Russian state-owned oil and gas firms Pertamina and Rosneft. A $12bn complex, processing 300,000 bpd is to be built in East Java. Antonio Della Pelle, of Enerdata Singapore provides an overview of three possible scenarios for Asia's future energy mix and how this could impact future storage requirements. In an interview published last month by Forbes, Enerdata Asia’s managing director Antonio Della Pelle provided the possible implications involved following Saudi Arabia’s decision to cut diplomatic ties with fellow OPEC member Iran. The decision from Saudi Arabia, the world’s largest oil producer, was sparked following the storming of the Saudi embassy in Tehran after the controversial execution of Nimr al-Nimr, a prominent Shi’ite cleric and outspoken opponent of Saudi Arabia’s ruling Al Saudi family. According to Della Pelle, major implications include navigation security in the Strait of Hormuz with a possible decrease in oil supply and increase in proper defense costs. In an analysis of the worst possible case scenario, Della Pelle stated that the gap would be partially off-set by strategic reserves while the remaining 7-10 million bpd of supply would need to come mainly from Russia, Africa, Europe and South America. “These supplies, when adding transport costs on average cost three times more than Middle Eastern supplies, hence from a simple arithmetic calculation we could say the price should jump up by 15%-20%,” Della Pelle said. In September 2015, Antonio Della Pelle, the Enerdata Singapore Managing Director, has been interviewed by DownstreamToday regarding the future of the Indonesian Refinery Industry. This interview follows on the March 2015 interview about the South Korean Refinery Industry. In the interview, Mr. Della Pelle has shared his views on how the downstream oil market is going to develop in Asia, how Pertamina can benefit from foreign partners and what is the role of the Indonesian government to attract more foreign investors in the Indonesian refinery industry that requires substantial investments. "The country has announced 500 gigawatts of coal-fired power stations in the years to come," said Nathalie Desbrosses, head of energy-market research at Enerdata. That is the equivalent of more than 500 nuclear reactors. Companies, banks and investment funds, primarily European, have been coming out in recent weeks with announcements they will halt investments in coal, a new front in efforts to reduce use of the highly polluting fuel that faces a battle against the hunger for power in emerging markets. The country has announced 500 gigawatts of coal-fired power stations in the years to come," said Nathalie Desbrosses, head of energy market research at Enerdata. Breaking Energy has recently interviewed Antonio Della Pelle, the Enerdata Singapore Managing Director, regarding the new Australian LNG plants and their economics in a low LNG price market. Mr. Della Pelle gave views on what the LNG player may be doing and made some comparison with the oil and petrochemical industry. 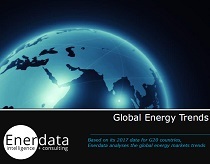 2014 ENERGY FIGURES G20: The Enerdata firm released this morning its analysis of figures from the world's energy in 2014. In March 2015, Antonio Della Pelle, the Enerdata Singapore Managing Director, has been interviewed by DownstreamToday regarding the future of the South Korean Refinery Industry. In the interview, Mr. Della Pelle has shared his views on how the downstream oil market is going to develop in Asia, how the Middle East refineries will impact the Asia Oil Market and what will be the real competitors for the South Korean Refineries. How's European gas race going? Gas should represent about 31% of the world energy demand growth between 2005 and 2020 (coal 25% and oil 22%), according to Enerdata. The European gas consumption should increase by 40% until 2020. The power sector is the main driver of this growth, capturing 53% of this increase. London’s households use less than half the electricity of those in the U.S., according to Enerdata, Information Services [...]. The gap will narrow because of the increased demand and expansion of low-carbon power generation. China, one of the world's fastest-growing economies, is developing a domestic nuclear market and is going to be a global nuclear technology exporter.[...] Beijing has a 17-gigawatt capacity active nuclear power and 30 gigawatts of capacity under construction, according to France-based research center Enerdata.[...] According to Enerdata estimates, this will increase the share of nuclear power in the Chinese energy mix from two percent to six percent. The first natural gas-fueling station for cargo ships is set to open on the mighty Yangtze River next month, as part of China's efforts to use cleaner energy sources and cut down on pollution. [..] The "initiative needs to be taken, like targeting the biggest and most polluting vessels," said analyst Abhishek Rohatgi of consulting firm Enerdata. India's reliance on domestic coal has left many of its power stations starved for fuel, forcing electricity cuts throughout the country, even as the price of imported coal slumps... Domestic coal is priced at around $50 a ton, after accounting for transport costs. Coal imported from Indonesia, meanwhile, is at about $60 per ton, said Abhishek Rohatgi, a Singapore-based analyst at consulting firm Enerdata, while Australian coal is even costlier. The Newcastle benchmark for thermal coal was at around $70 a ton in July. Efficiency can help Ukraine reduce dependence on Russian gas. "Ukraine wastes huge amounts of energy. It is the second least energy efficient economy based on the consumption of fuels per unit of gross domestic product, or GDP, according to the Enerdata “Global Energy Statistical Yearbook 2013”". Who cares for energy efficiency? Industry tends to look at the issue purely in cost terms, not realising its competitive advantages. The findings referred to in this article can be found in "Trends in global energy efficiency", which comprises a white paper by the EIU based on a survey of 317 senior industry executives, and research by Enerdata. Ulrich Spiesshofer Research commissioned by ABB has confirmed that energy efficiency remains a high priority for executives in industry. This is a problem for reasons of industrial competitiveness - energy costs are high and rising - and because energy efficiency is the most effective way to limit our impact on the environment. It may not be exciting or glamorous but reducing the amount of energy consumed for the same or a greater amount of output is unquestionably the most sustainable approach of all. Research commissioned by ABB Group, the power and automation technology company headquartered in Switzerland, confirms that energy efficiency remains a high priority for industrial executives... 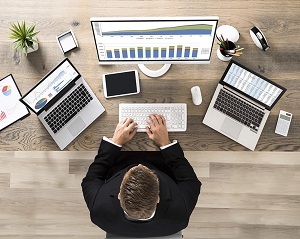 The findings referred to in this article can be accessed in "Trends in global energy efficiency," a white paper by the Economist Intelligence Unit based on a survey of 317 senior industry executives, and research by Enerdata. Ce lo rivela un recente Rapporto di Enerdata - società di ricerca e consulenza specializzata nel settore energetico, che annovera tra i suoi clienti alcune tra le principali società energetiche al mondo nonché svariate agenzie governative. Nel suo Rapporto Enerdata ha fatto il punto sulla domanda mondiale di energia sulla base dei dati relativi ai Paesi del G20 (80% dei consumi energetici mondiali). Egypt is beginning to invest heavily in its alternative energy future, according to a new report from Enerdata, an energy research and analysis firm. Meanwhile, as Ukraine looks for other energy supplies, Russia is looking for other ways to get its gas to Europe. Russia is the world's biggest producer of natural gas and supplies Europe with nearly 40% of its imports, according to the European Commission. 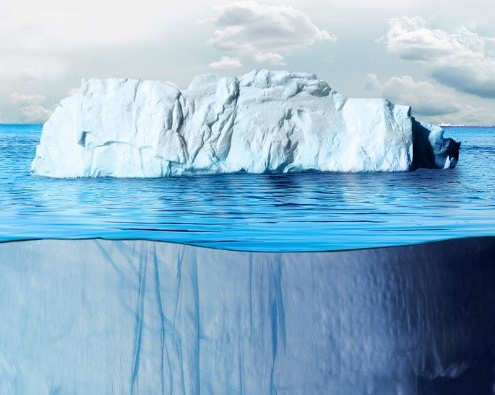 The power sector is perceived to be the easiest and least costly way to decarbonize as it offers several options, says an article created by Enerdata. Ukraine spends three times as much energy per $1 of its economic output as its Western neighbor Poland, according to specialist agency Enerdata. According to Enerdata, world energy expenditures have more than double in 20 years. More than US$6,000bn -10% of the world Gross Domestic Product (GDP)- is spent each year in the world for energy purposes. This places energy second to health care expenditures in many countries; and in some cases first. World Carbon Dioxide Emissions in 2000: 22429 million tons. World Carbon Dioxide Emissions in 2010: 29432 million tons. Percent Change: 31.22%. Projection for 2030: 50678 million tons. The Arab Petroleum Research Center presents the Enerdata study about the world energy consumption rose by over 5% in 2010, by Enerdata. An analysis of industry and utilities. Researched and written by Enerdata and the Economist Intelligence Unit. Trends in global energy efficiency 2011 is published by ABB to help raise awareness about the importance of using energy more efficiently and the opportunities that exist for industry and power utilities. China and India "now account for over one-third of the G20's energy demand", said Enerdata. The complete survey results are published by ABB in "Trends in global energy efficiency 2011", together with a global overview of energy efficiency in industry and utilities by Enerdata. Energy. In 2010 consumption began to grow. Driven by emerging data are reported by Enerdata, one of the most quoted industry analyst in the energy sector, which emphasizes that the increase is due mainly to the large emerging countries. The data are reported by Enerdata, one of the most quoted industry analyst in the energy sector, which emphasizes that the increase is due mainly to the large emerging countries, particularly the so-called BRIC (Brazil, Russia, India and China). Energy consumption in the G20 soared by more than 5 percent in 2010, after the slight decrease of 2009. Energy markets have combined crisis recovery and strong industry dynamism. Enerdata analyses the trends in energy demand, based on its 2010 data for G20 countries. Energy consumption in the G20 has soared by more than 5% in 2010, after minor reduction in 2009. The sharp increase is the result of two converging trends. According to French energy company Enerdata statistical data show that in 2009 China's GDP for every $ 1 created needs to consume 0.28 kg of oil equivalent. Enerdata POLES model and EnerFuture Database have been at the core of the model developed by Accenture to quantify low carbon technologies investments in Europe up to 2020 which is showcased in the Carbon Capital Report. The same effect demonstrated by the French consulting firm Enerdata in a report commissioned by the European Federation for Transport and Environment. Bertrand Chateau, president of Enerdata energy research firm participate in U.S to the European Summit on science, technology and sustainable economic growth. Sweet Vengeance Against the Gas Pump: According to Enerdata, an independent energy consulting company, gasoline consumption dropped 4.5% in North America during the record high oil prices of 2008.